We all know 2016 has been a bloodbath. I say: let us not only mourn the dead, but also celebrate the living! Because yes! 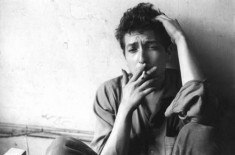 The Nobel Prize has been awarded to Bob Dylan, who is alive and demonstrably full of piss (or as he put it in a recent tune, “I ain’t dead yet / My bell still rings”). As we reported last month, Dylan announced a while back that he would not be flying to Stockholm to receive the award in person. Now, with the Nobel banquet looming in just four days, we have some more details on the plan. In a report published yesterday by the Associated Press, the Nobel Committee revealed that Nobel Laureate Bob Dylan has submitted a speech to be delivered at the banquet. (No word yet on Dylan’s separate Nobel lecture, which an earlier statement throat-clearingly described as “the only requirement” of Nobel recipients.) They’re still not sure who’s going to deliver it — perfect considering the author’s a dude who once stopped a random violinist on the street and invited her to play on his next record (after initially pretending to be a Hungarian rando named Danny), and who probably actually could make it to Stockholm this weekend but would rather be alone in his basement sipping rye and messing around on pedal steel with the ghost of Buck Owens. I had not anticipated singing a Bob Dylan song on December 10, but I am very proud to be doing so and will approach the task with a sense of gratitude for having him as our distant, but present, cultural shepherd. Bob Dylan’s ascension through the echelons of Nobel Laureacy notwithstanding, 2016 remains, in the words of non-Nobel Laureate Ezra Pound, a “dung hatching obscenities.” Now that we’re in the home stretch, probably best to remain in your pillow fort, sullenly flipping channels until the new year — at which point we should please all get together and be sure never to speak of 2016 ever again.